He is tied for 4th in home runs, 2nd in RBI, tied for 7th in batting average, 10th in OBP, 4th in OPS, and 3rd in Slugging. Morneau’s stats don’t sound like those of an MVP, but the AL is so even this year that no candidate stands out. His biggest competition may be teammate Joe Mauer, but I’m giving the Morneau the edge due to HRs and RBI. He has by far the best ERA in the AL, is tied for 2ndin wins, is 3rd in strikeouts with 129 in 127 1/3 innings, has just 21 walks, is tied for 1st in Quality Starts, and is 2nd in WHIP. Greinke has had a phenomenal year in every facet of his game and is the clear Cy Young award winner for the first half of the year. He is 7-3 with a 3.00 ERA and has 69 strikeout in 87 innings. He has a 1.26 WHIP and has been solid for Toronto all year. The AL doesn’t have any stand out rookies so Romero’s solid stats give him the award for the first half of the year. The Rangers are just 12th in the AL in batting average and are 9th in ERA yet are 48-39 on the year and just a game and a half behind the Angels in the AL West. The Rangers still don’t have a very good pitching staff and there batting is slightly worse than previous seasons, but their record is great because of Washington. His stats are absolutely unbelievable. 32 home runs. 87 RBI. .332 batting average. That is just the beginning. He is in the top 10 in OBP, Slugging, OPS, Walks, Hits, and basically every other stat that exists. He is without a doubt the best hitter in baseball and the obvious choice for NL MVP. 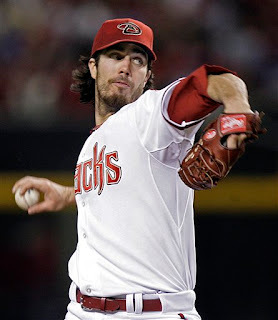 It’s a tough decision between Lincecum and Haren, but Haren gets the nod for his ERA and walks. A 2.01 ERA, though in the NL, is remarkable and it’s amazing his record is only 9-5. 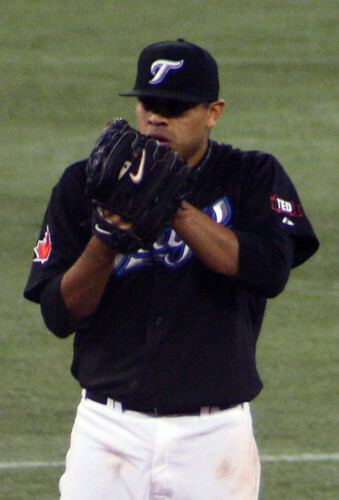 He’s 2nd in the NL in innings pitched (130) and has 129 strikeouts in those inning. Most amazing though, he has walked just 16 guys in those 130 innings, less than half as many as Haren has walked and that’s why he receives the NL Cy. He started slow but has raised his average to .278 while hitting 11 homers and driving in 34 runs along the way. He has a .329 OBP and has 19 doubles on the year. Not huge numbers, but Rasmus is the deserving winner of this award. Gonzalez leads the Marlins who are just 10th in batting average and 9th in ERA in the National League, but are second in the NL East at 46-44 and are just four games behind the Florida Marlins. A decent roster overall, the Marlins have a small payroll and Gonzalez has made the most of it.